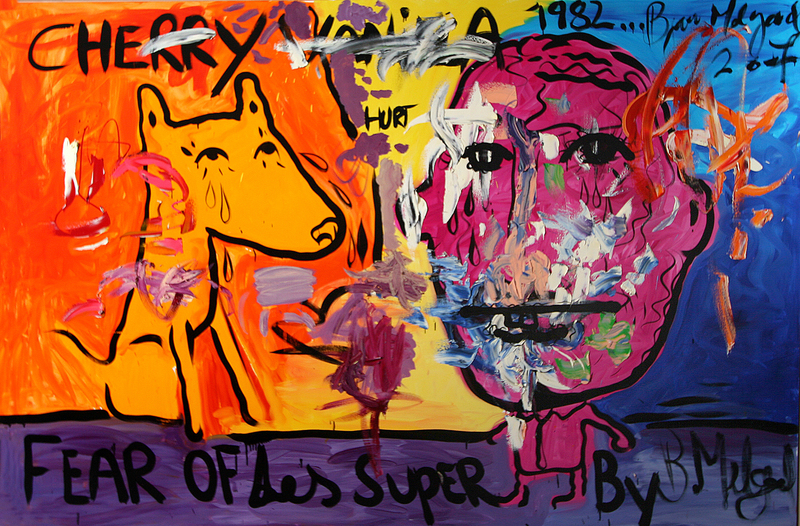 Bjarne Melgaard is a controversial artist, befitting of the controversial all-male showcase currently on show at London’s Saatchi Gallery. To some, his vibrant assemblages are frustrating. To others, they’re bold works of genius, exploring difficult themes like addiction with clarity and depth. Hidden layers are revealed the more you look into the Norwegian artist’s animated signatures, savage brush strokes and Picasso-esque features. No matter your opinion, Melgaard’s work is undoubtedly ’art’. The dispute centred on the categorisation of the works as paintings. According to Norway’s outdated regulations, ’paintings must be executed entirely by hand’, whereas Melgaard uses various innovative printing techniques in his work. With this in mind, it seems apt that his work is now included in Saatchi’s ’Painters’ Painters’ exhibition – a group show presenting a selection of nine influential, present-day painters, who are helping to shape the medium’s future. The group show aims to highlight what the gallery implies is a lagging medium, suffering from some curators’ fetishes for digital works. But for Melgaard, painting is still very much alive. 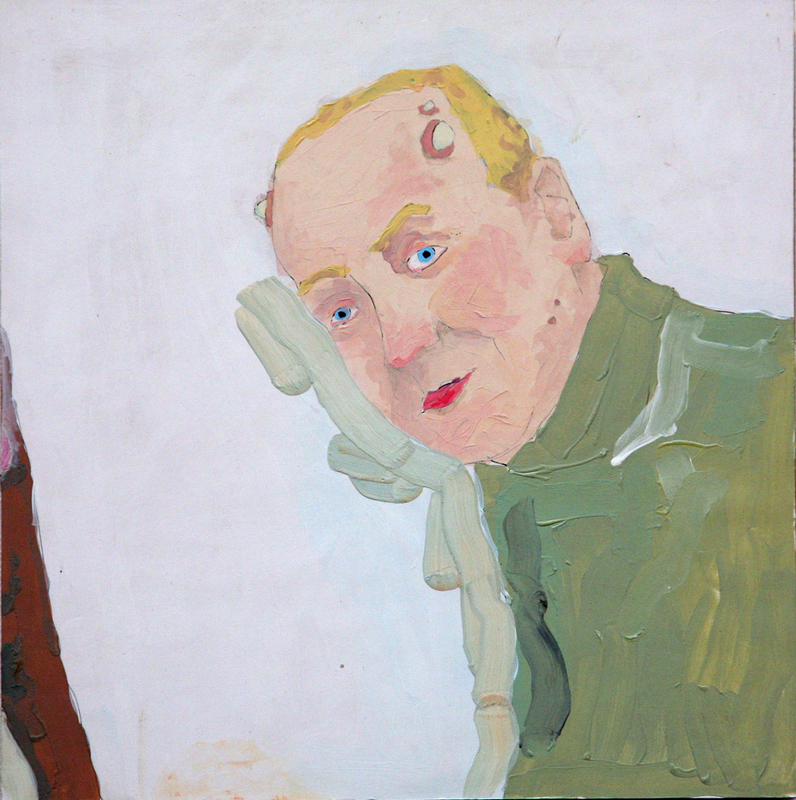 ’I don’t think that curators are not favouring painting because there are so many painters around doing work,’ he says. In Melgaard’s opinion, it seems, as long as work is being produced, the galleries will take it, and the punters will be there to drink it in. The invariably boundary-busting work on display throughout the exhibition ratifies his point. Indeed, Aldrich’s vast white works seem to stand in complete visual contrast to Melgaard’s vivid portraits, the subjects of which Meglaard keeps close to his chest. All he reveals is that they’re a mix ’of fictional and real people.’ Indeed, mystery pervades each works’ myriad layers, belying their initial childlike impression. Viewers are left with more questions than answers. And if this isn’t the purpose of art – to provoke discussion, questioning and mystery – we’re not sure what is.